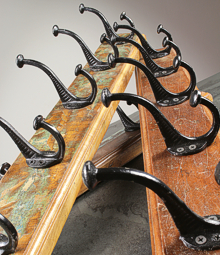 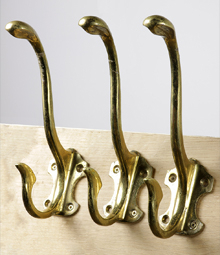 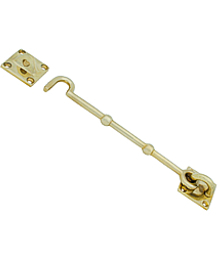 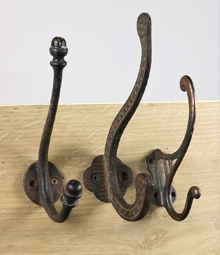 Predominantly we stock new, quality made brass and cast iron hooks ranging from the simple rustic peg hooks to the more ornate Art Nouveau brass double hooks. 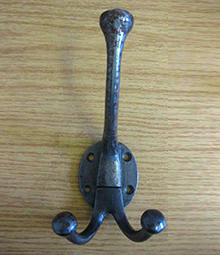 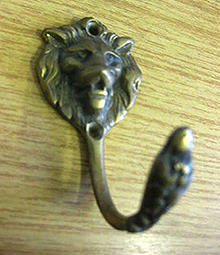 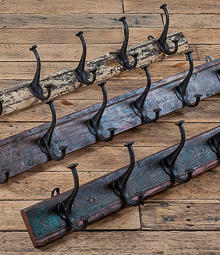 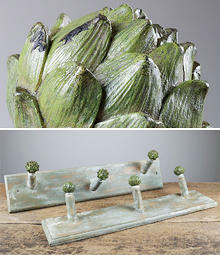 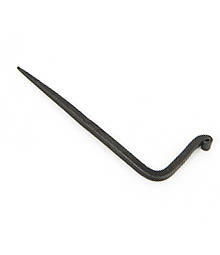 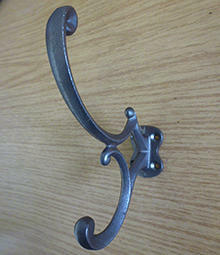 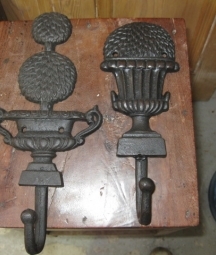 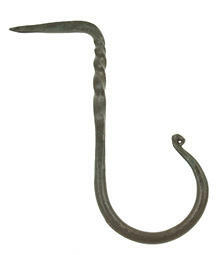 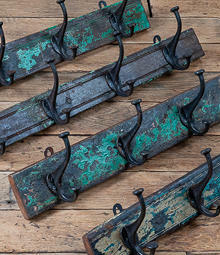 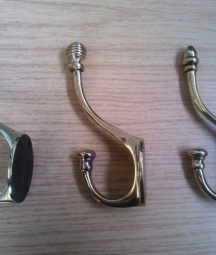 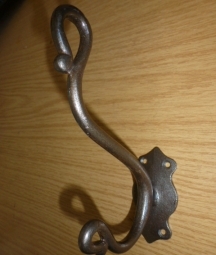 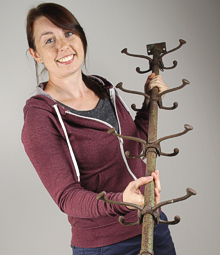 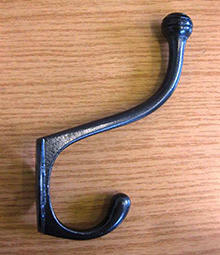 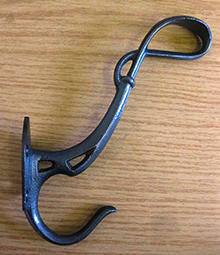 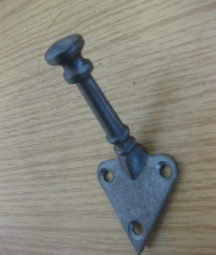 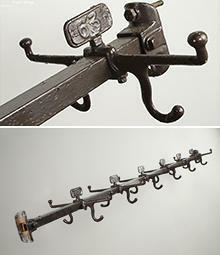 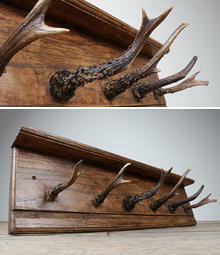 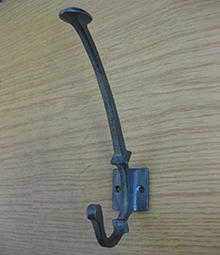 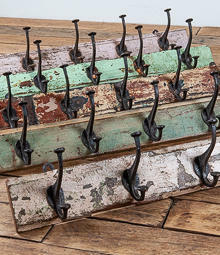 Periodically we have antique, original hooks for sale although these are harder to get hold of nowadays. 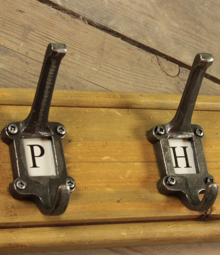 We also stock the Anvil range of new cup and L hooks, as well as coat hooks, available in beeswax or a painted black finish.